An exceptional car chase thriller filled with spectacular destruction, Mad Max launched the careers of star Mel Gibson and director George Miller, and proved that Australian cinema is capable of high-energy, violence-drenched action dramas. In Australia of the near future, civilization is showing sign of breaking apart at the seams. Wild criminal Nightrider escapes from prison, steals a police car and roars down the highway. After a destructive chase, Nightrider is stopped dead in his tracks by the ace pursuit officer on the force, Max Rockatansky (Mel Gibson). Toecutter (Hugh Keays-Byrne) and Bubba Zanetti (Geoff Parry), take over the leadership of Nightrider's motorbike gang. 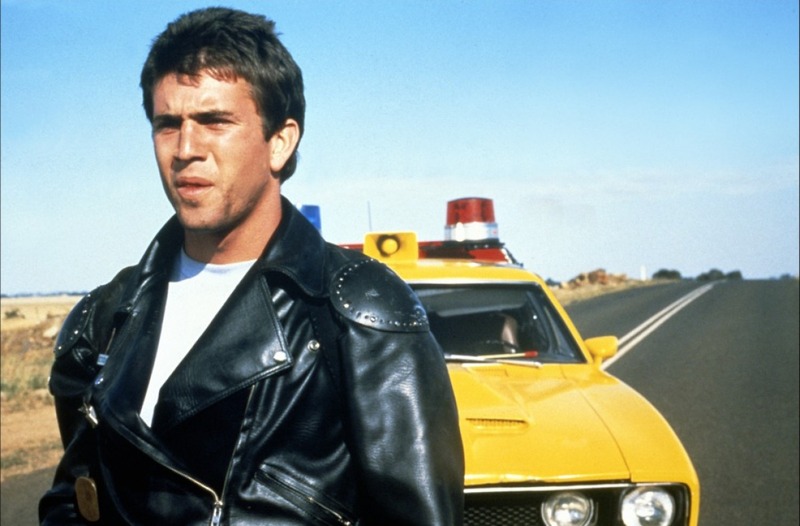 When the bikers terrorizes a small town, Max and his partner Goose (Steve Bisley) arrive on the scene and arrest gang member Johnny The Boy (Tim Burns). When Johnny is released due to the absence of witnesses, he gets into an altercation with Goose, who becomes a prime target for Toecutter and his goons. Max feels the stress getting to him, so his boss Fifi (Roger Ward) affords him a vacation. Max sets off to the country with his wife Jessie (Joanne Samuel) and young son, but Toecutter is lurking. Miller achieves a vision of a society teetering on the brink of breakdown, but not quite there yet. Mad Max is set in the transition zone where marauders are about to confirm their rule of the road, but the police have just enough about them to still make a fight of it. Meantime, in the small towns that dot the roads, law and order are very much losing the battle to anarchy and mayhem. As such, Mad Max occupies an inventive space where Max and Jessie can still try to carry on a normal family life, Fifi will try to hold together a police force, and Goose believes that he is indestructible, but also a space where the violent methods of the likes of Nightrider, Toecutter and Bubba Zanetti are slowly but surely taking over and erasing the vestiges of a once normal society. 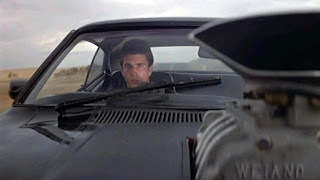 Made on a shoestring budget of $400,000 but achieving the slick look of a movie costing at least ten times as much, Mad Max thrives on its underground cult ethos. Cinematographer David Eggby fills the screen with roaring kinetic energy, placing his cameras nose to nose with angry engines to capture the beauty of unconstrained horsepower. The chase scenes are lucid art in motion, punctuated by hair-raising stunt work. And on the rare occasion when the choppy editing betrays the budget, Mad Max just wears with pride its medal for exceptionally honest effort . Mel Gibson, at 23 years old, has few words to say but makes a big impact. Demonstrating coolness as a policeman and warmth as a family man, Gibson's appeal is unmistakable. By providing him with a job, boss, colleagues, wife and child, the role immediately allows his persona to go beyond the traditional mysterious silent stranger. Max is a normal human being with a full life, and if he is going to get mad, it's going to be for some damn good reasons. Joanne Samuel's surprisingly central performance as Jessie is packed with the treasures of couplehood, and she represents everything that is about to be lost as civilization gives way to creeping nihilism. According to this trajectory, in the future loving wives and doting mothers will have no role to play, and Samuel, who stepped into the role at the last minute, provides Jessie with the genuine sensuality that keeps Max sane while the world of policing exposes him to the non-stop cavalcade of insanity. Mad Max is a classic high-octane adventure, a one-way ticket to a future where crushing pessimism is only exceeded by the glory of horsepower.